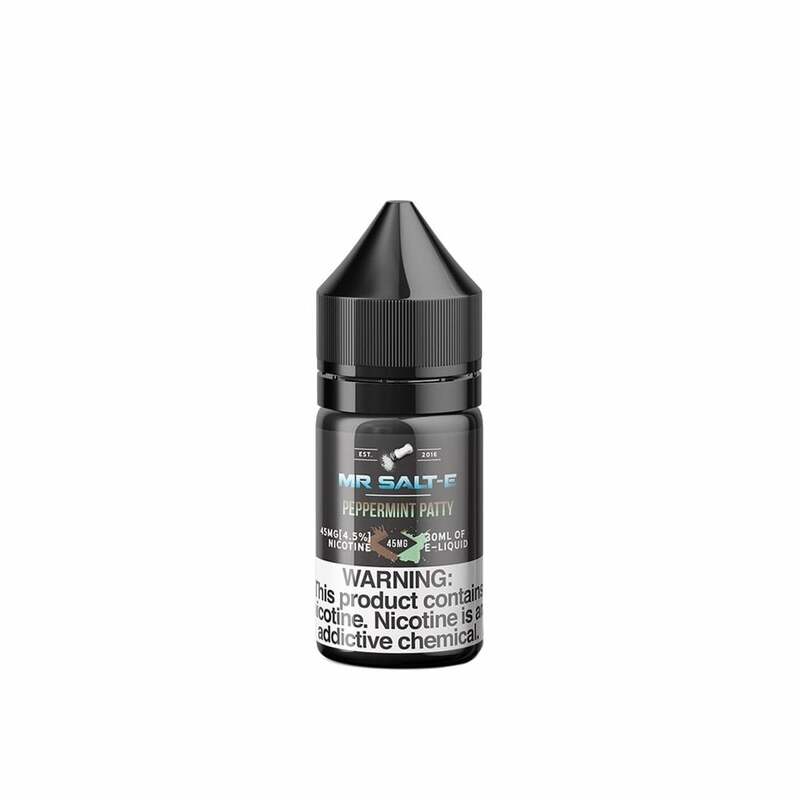 Mr. Salt-E Peppermint Patty vape juice perfectly captures the taste of chocolate-smothered peppermint candy, while its nicotine salt formula adds an extra level of satisfaction to your vape. If you can't resist a candied treat, Peppermint Patty is the juice for you! Wow. This juice is horrible. Please save your money and buy a different juice. This stuff taste good on the hand, when you do a taste test, but when you vape it....horrible. It tastes like plastic melted with mint....LIGHT mint, and nasty chocolate. Wish I hadn’t bought this but oh well. Don’t go off the other reviews, this is disgusting. Don’t do it. You will regret it. I love it! Tastes like a peppermint patty, just as the name suggests. I did not smoke menthol cigarettes when I smoked, BUT I love nic salts that have a light, menthol flavor. This one has the perfect amount of “coolness” and it tastes great. Love, love, love this flavor. Just like a York peppermint patty. Just the right amount of chocolate and mint. I will be ordering more! Really liked the smoothness. Wish it had a little more peppermint flavor. Very strong peppermint and chocolate. It is super strong so if you’re into that then it’s a 10/10. It's good tasted good will order again!